If you have been even remotely related with the tech industry, chances are that you could have never escaped the word IOT popping out in almost every meeting or even in every article you read. The Internet of Things (IOT) is slowly becoming a reality from just a "futuristic trend". It all started with the television becoming "Smart" with Wifi access and able to communicate to the world wide web. TV developed capabilities to even stream content and play it directly in your TV. 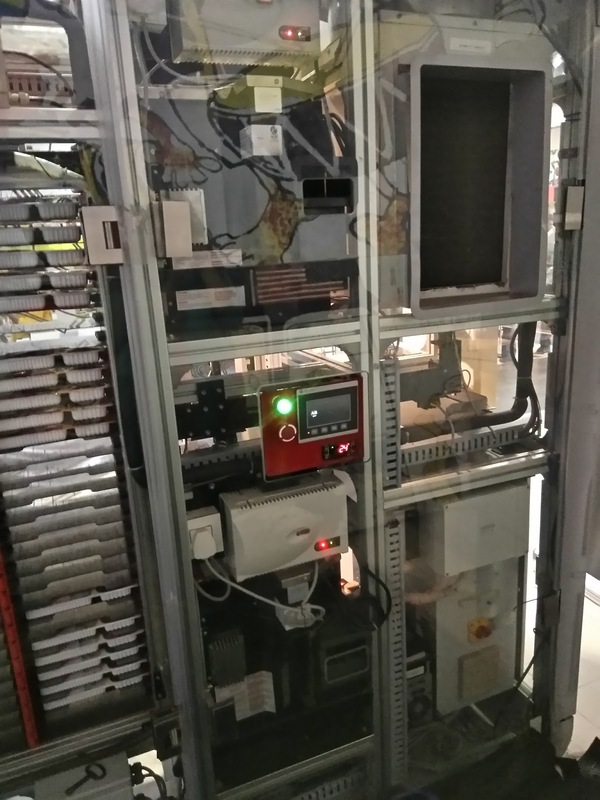 One by one, every device you came across seemed to be "intelligent" and got into the "network".Finally a Food industry IOT has become a thing. To quote Mr.Ford, "you can have any colour of Ford car you want, as long as it's black". When I received the invite to witness the launch of a new kiosk like product called "GoFrshly" from a company called OwlTech( A Food industry IOT firm), I was quite intrigued. I quickly signed up and attended the event quite diligently, along with my dear friend Deepika and fellow blogger Sulaiman. To be honest , my experience with kiosks was strictly limited to buying a Pepsi can or a water bottle from an airport vending machine. 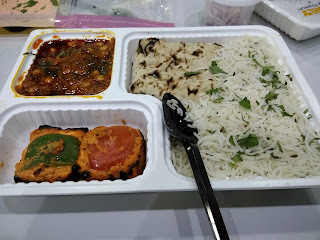 So ordering hot food from Anjappar or Delhi Highway in a vending machine and paying through Paytm was something surprising and certainly delightful to say the least. 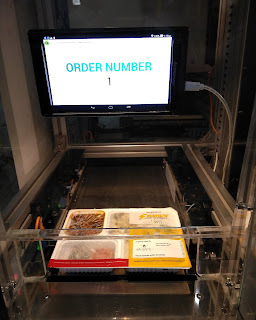 I already began to appreciate this idea of Food industry IOT. The GoFrshly team ties up with several restaurants including Anjappar, Paradise Biryani, Delhi Highway and even Dominos(quite soon). They deliver hot food and hand it over to the GoFrshly team specifying a maximum shelf life. The user now has two choices. Walk upto the machine in the food court/airport , sees the menu listed and just have to click his choice. 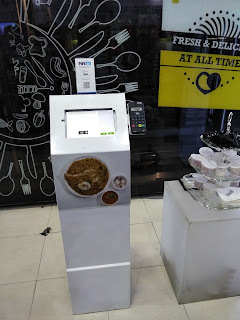 He can pay for the food either through cash(Directly to the GoFrshly guy standing nearby) or in the credit card swipe machine or just scan the bar code, pay it thru PayTM. 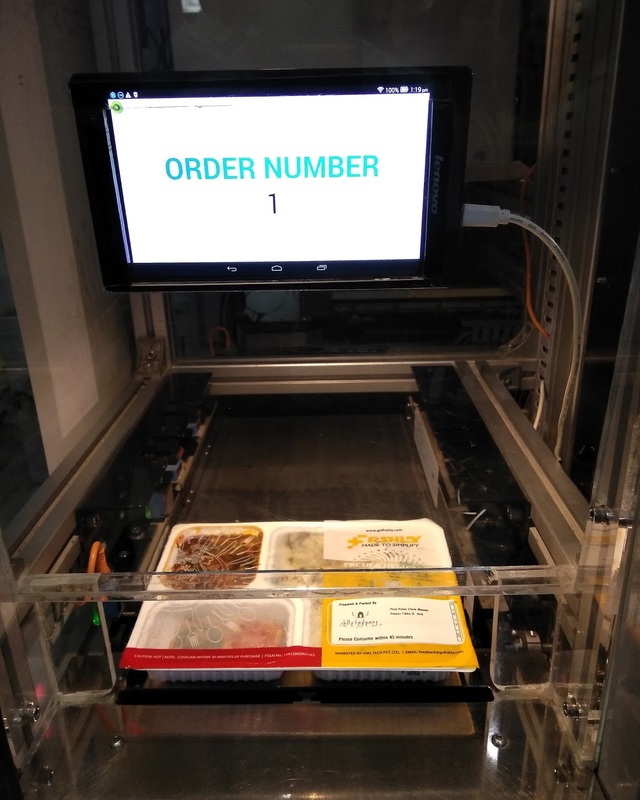 Immediately, the machine starts preparing your order, heats up the food to the desired amount and places it through a mini delivery count with your order no on it. The whole thing takes place in roughly 90 seconds or less. 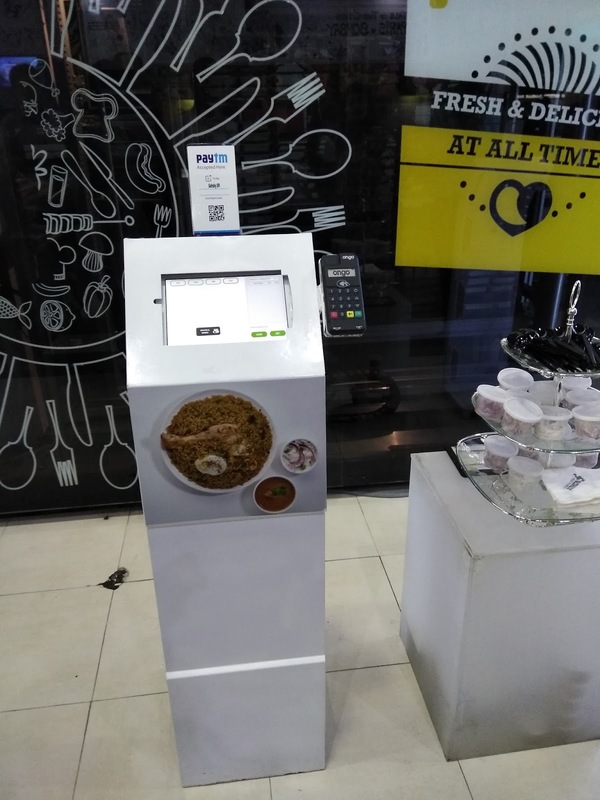 No need for waiting in queues, fighting for space in small food counters in malls, eliminates the need to buy those redundant mall food cards and of course not shell out a premium for those small quantities of a meal. How does it work for the Restaurant? They can't however invest heavily in a permanent physical store place inside a railway station/mall/airport . So they can simply collaborate with these guys at GoFrshly. 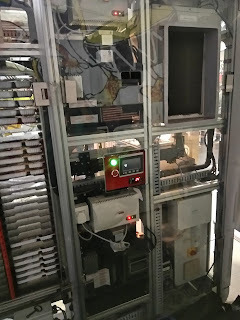 The deal involves paying for a share of the machine only. Second step is to sell the food to the same people who'll put up the menu in the app. Within minutes, your food is being served hot and fresh (within the stipulated shelf life) in neatly packed containers and in far economical rates than the actual restaurant rates. A smaller real estate (with no preparation area needed). Hence cheaper rates than actual rents. 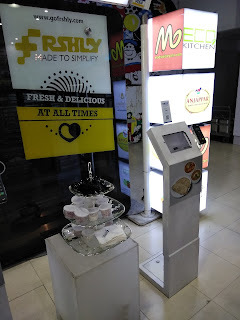 So in my trip to their office, I was given the chance to review the food served through the machine. I opted for a Veg combo meal from Delhi Highway , costing 129. It consisted of 2 Tawa Phulkas, Jeera Rice, a Subzi and a Paneer Tikka starter with a small jaggery sweet. With the given portion, Rs.129 seemed to be an excellent deal, that too from a restaurant like Delhi Highway (In contrast, an average meal/person in Delhi Highway,Chennai usually is 300+). Everything was cooked to perfection, in the right amount of heat, spice levels and the softness of breads. From a personal opinion, this seems to be a very ideal combo for professionals and travellers, as it offers the right amount of quantity at very economical price, made in a very hygiene environment. The container served was neatly sealed and the max time for consumption was clearly mentioned( definitely a rare sight to see this). Disclaimer: I was invited by the GoFrshly team to experience their new offering and give a honest review of the same. As always, opinions expressed in the blogpost is purely unbiased and offers my honest perspectives on the same. 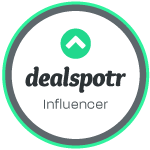 Also do check out a similar aggregator in the Home Furnishings category called Home Canvas, which has curated home decor collections. This does sound good, just that the food should be fresh always. You indeed had a nice experience.